Defence Turkey: First of all, could you please inform us about Vitrociset’s structure, capabilities and products? Yes, thanks. Vitrociset is a Company mainly based in Italy and with subsidiaries and plants in France, Holland, Germany, Kenya, Malaysia and last but not least, here in Turkey. We are a “Problem Solution Company”, and the vision of Vitrociset is to provide the know-how and capability to understand Customer needs, translate them into requirements and then into final solutions. We mainly operate in Defense, Security, Space, Transportation and Government and Industries arenas. Just to mention some of our products and solutions, we designed, produced and actually operate the VEGA Space Launching System in Korou (France Guyana) and the Italian Space Base in Malindi (Kenya), we designed and operate the Italian Weapon Test Range in Salto di Quirra (Italy), we also designed one of the largest European Live and Simulated Training Center and many other systems visible on our website, of course. Korou and Salto di Quirra have been visited by SSM, Tur MoD, TGS, TuRAF, Roketsan and TÜBİTAK, and we are very proud of this Turkish interest in us. Defence Turkey: You have an office in Ankara. 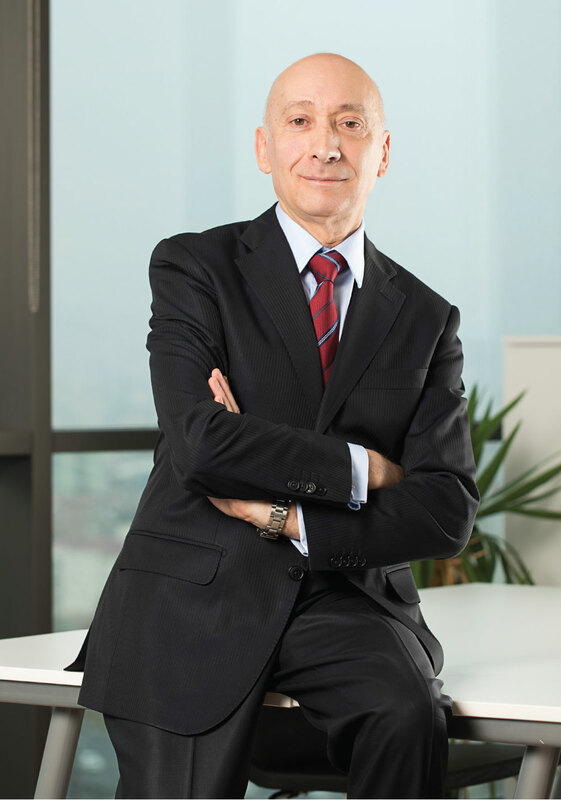 What was your vision to establish an office in Ankara? What is your Ankara office mission and activities? We established a simple Liaison Office five years ago that soon became a Branch due the volume of the business signed in the country. It is not a secret that in a while we want progress from a Branch to a full Turkish Company. We operate both local contracts with my team of highly skilled Turkish engineers, and support Roma H.Q. to develops other contracts. The business model of Vitrociset Turkey naturally follows the general ones of Vitrociset S.p.A., meaning that we always try to cooperate with National companies offering our solution for their programs as well as opening our market to their solutions. We cooperate with many Turkish Companies and Agencies, ranging from the big ones to SMIs. Personally, I try to maintain a large networking base because I strongly believe that we have to know and trust each other if we want to create long lasting win-win opportunities. Defence Turkey: Could you please enlighten us about Vitrociset’s activities, the programs and projects that you carried out in Turkey? Definitely, Roketsan is our main customer in Turkey and we are very proud to have been cooperating for many years with a such an important Company. We delivered a Digital Acquisition System to test the engine and because of our long lasting experience with the Weapon Test Range we have been selected as main subcontractor in their Karapinar Test Range Modernization program; we design and are delivering, together with the Roketsan Team, a very complex Command and Control, Three Mobile Optical System and integrating the rest of the system. We also won two other tenders providing a Mobile C2 in two shelters and adding new functions to the Karapinar Site. We are also a consultant of Roketsan in their National Space Program. Another big customer for us is Leonardo, and there is an overall synergy rising worldwide between the two Italian Companies. Our Turkish Team is supporting Leonardo in maintaining and developing new functions in the SMART National Air Traffic Program in Ankara, Istanbul, Antalya, Dalaman, Bodrum, Izmir and Ercan. In Ankara Esenboga and Istanbul Ataturk we installed the ARTAS tracking System under a Eurocontrol tender. We also support Leonardo in the modernization of the NATO LIP Long Range Radar. A Vitrociset Turkish Team is collaborating with Telespazio for the Ground System within the Gokturk-1 program and we are also very proud to be consultants of Tubitak SAGE with whom we signed a Memorandum of Understanding during the last IDEF 2017. Defence Turkey: It is well known that Vitrociset has cooperated with Turkish companies over the years, such as Roketsan. Could you please inform us about your cooperation with Turkish companies? Yes, as mentioned before we cooperate with Roketsan in some of their important programs but we are also in touch with almost all other Turkish Army Force Foundation Companies as well as with TÜBİTAK SAGE. 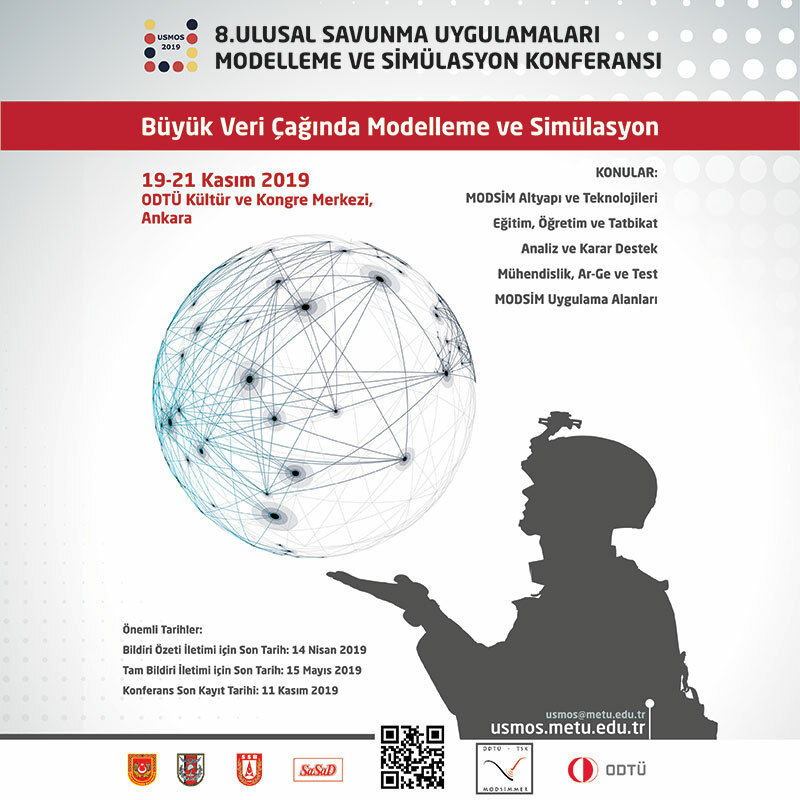 Moreover, we work on many opportunities with selected Turkish SMIs that can help us to penetrate the local market, and we always offer to them a transfer of technology and some opportunities to work for us in our market. Among others I should mention our strict cooperation with BITES for SW and SAVIS for HW and logistic. 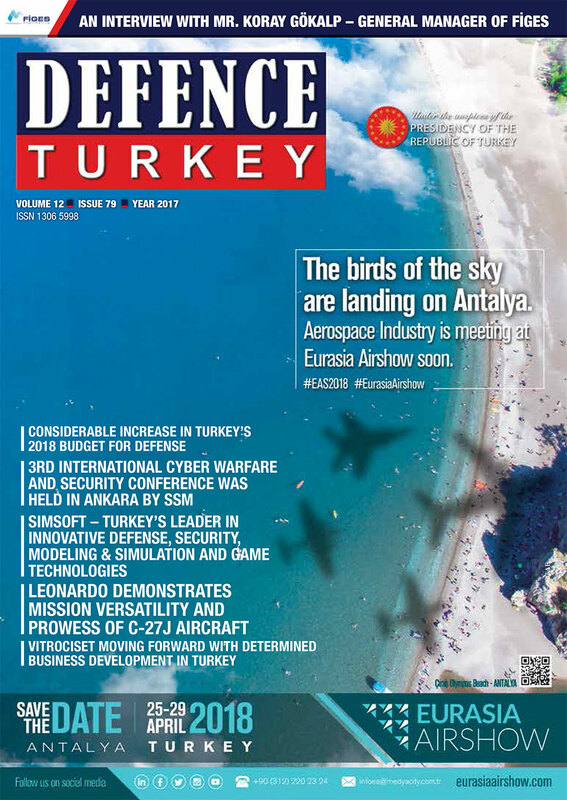 Defence Turkey: Do you have any upcoming plans to export to 3rd countries with Turkish companies? Why only 3rd countries? Also in Italy, NATO, EDA and the European Space Agency. We are running some opportunities as a prime contractor having Turkish Companies as our partner. Those opportunities are Commercially Sensitive if not Classified so I cannot give more details. On the other hand, we hope that those Turkish Companies will consider Vitrociset as a good partner when working not only in Turkey but also in related, connected countries. Defence Turkey: Vitrociset has capabilities in Space as well. Could you please inform us about your activities in this field? Could “Space” be considered a mutual area between Vitrociset and Turkish defense companies? We are heavily involved in the Ground Segment of Space. We are not involved in launching rockets, satellite or payloads but we are one of the few worldwide companies with proven experience in global design, producing and operating a launching base system having VEGA in Korou as our main asset. We also work for the Italian and European Space Agencies, for Soyuz and Arianne. We are not in competition with the Turkish Companies involved in Space such as Roketsan, Aselsan, TAI etc. but we can offer to them our experience in the Ground Segment as well and we can support them in participating in the European Space Agency programs. Turkey is not yet in this agency but Turkish Companies might gain access to the agency’s program as our subcontractor. Once again, we are looking on a win-win approach. Defence Turkey: What are Vitrociset’s R&D activities, capabilities and plans? We have a network of R&D Centers, some are in Italy but also in France, Holland and Germany. Not yet in Turkey. Mainly we work in R&D for the Italian Authorities, Europe program, NATO, European Space Agency, Italian Space Agency and EDA. Our vision is to move some of those programs to Turkey to be developed by a Turkish team and naturally accessing the R&D benefits of the “Invest in Turkey” program. So, we have to create an R&D Center here in Ankara. Defence Turkey: Finally, would you like to add a message for our readers?